Comes in zip file. No executables inside. README file says "just run drpython.pyw". Nothing happens. drPython.py, when launched from command line, returns ImportError: No module named wxversion. Why the hell they aren't bundled together? WxPython download from SourceForge doesn't work (unicode version for python 2.5). After quite some time proper sourceforge download page comes, but the file is still not available. Downloading ansi version. Finally, after wxPython installation, drPython comes up. My point is: You never have a second chance to make a good first impression. If you want someone to like your software — make him like it from the first bit. It does fold code properly. Quite a strange and uneasy default color coding (too much red color). Has a feature to customize colors, no color picker though — please submit color codes in hex (like, #FF0000). Actually, there are active sliders and you can see result of your changes. That's good. 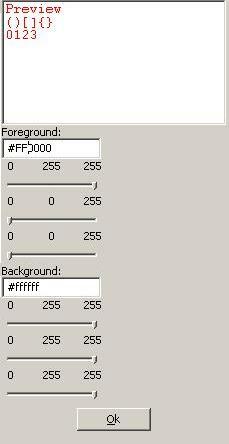 And if you're a designer and know the proper colors by hex value — you can't set them in editbox — it's read-only. I'm not a designer, but still count it as a minus. Plusses - it's free and opensource. So you can hack on it and change something to make it work exactly the way you want. Overall: 4 out of 10.